The purpose of the report is to assess the merits of the proposal against the policies of the development plan and other material considerations and to consider the recommendation of the Head of Development Management that planning permission should be APPROVED subject to conditions. A Stopping Up Order for the closure of the A344 between Byway 12 and the A303 was confrimed in a letter from the Secretary of State dated 31st October 2011. The visitor centre and its associated facilities are open to the public. 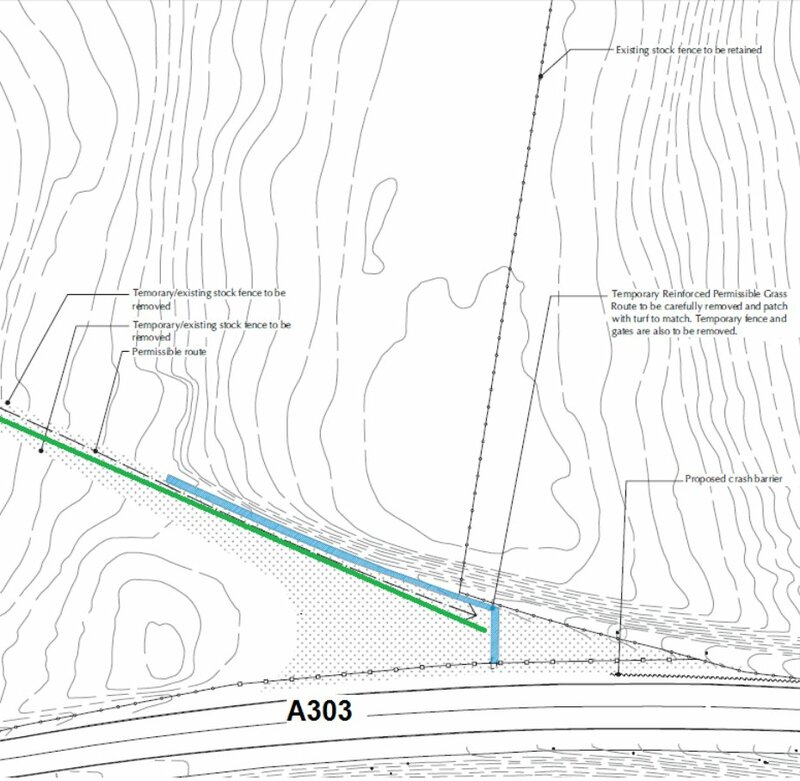 This application relates to the grassed over section of the A344 only. agricultural land and creation of new visitor transit system turnaround area for shuttle bus use; creation of extended visitor transit system turnaround area for shuttle bus use; decommissioning of existing visitor transit system turnaround area; all with associated ancillary and landscaping works. The NPPG explains that an application can be made under section 73 of the Town and Country Planning Act 1990 to vary or remove conditions associated with a planning permission. (27) No development shall commence until (i) details of the pedestrian and cycle route along the whole of the A344, including crossing arrangements at the A303 (Stonehenge Bottom) and (ii) a scheme for reviewing such access and crossing arrangements, have been submitted to and approved (in consultation with the Highways agency) in writing by the local planning authority. The development shall not be occupied until the agreed works have been completed. Any changes shall be implemented in accordance with the approved scheme. REASON: To accommodate and facilitate the inevitable future local pedestrian and cyclist demand travelling the route between the Stones and west Amesbury, and provision of a safe crossing point on the A303 when the right turn facility currently in place is removed. The details for condition 27 were formally agreed in writing by the local planning authority on 25/06/2012. These included the details of the pedestrian and cycle route along the A344 and provision of pedestrian and cycle gates at the A303 end of the route. The agreed details for the crossing arrangements at the A303 included a report submitted by Highways England (then known as the Highways Agency) confirming that with the exception of hi grade reflective signs and audible/tactile central line hatching; the crossing arrangements at the A303 would remain unaltered. It was also agreed with the local planning authority under condition 13 (Landscape Management Plan) which set out a phasing strategy for the landscape restoration works following the closure of the A344, that a temporary permissive path would be provided on land north of the A344 between Byway 12 and Stonehenge Bottom to ensure establishment of the grassland over the permissive pedestrian and cycle path section of the former A344, which would be open to the public by 1st October 2016 (phase 4 of the agreed phasing strategy). However, due to delays to the commencement of the phase 4 works, establishment of the grassland was delayed and a revised Landscape Management Plan was agreed by the local planning authority on 21st December 2016 for the permissive path to be opened by 1st October 2017 (allowing the grass surface of the permissive path to be sufficiently established). 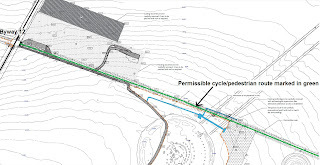 This application is to vary the agreed details for condition 27 for the timing of the opening of the permissive pedestrian and cycle path to now be open to the public by 1st October 2017 (allowing a further year from the original agreed scheme to enable the proposed permissive path to establish itself prior to it being opened to the public). The alternative temporary diverted route (agreed under condition 13 of the original consent) is provided on National Trust Land. Amesbury Town Council strongly objects to the application. Members of Amesbury Town Council feel that the permissive path has been in place for a number of years and considers that sufficient time has elapsed for it to become established. Investigations have taken place and councillors have walked the permissive path in both directions and found the ground to be hard/solid and the new grass well established. It is understood that a tractor mower is currently used to cut the grass. It can be assumed therefore that the grass would be able to withstand pressure from bicycles and pedestrians. Walking visitors to Amesbury should be able to approach Stonehenge along Stonehenge Road, to enter through the gate and proceed along the path. Further deferrals could result in losing the path altogether. It should be noted that, at the eastern end of the path where visitors enter the area of the stones, there is no provision for keeping apart those people walking the permissive path and those coming from the visitors centre. It is felt that this could be a contributory factor in deferring the opening of the path, despite the reason being given as a need for the further establishment of the grass. As above, Amesbury Town Council has noted evidence to the contrary. Chitterne Parish Council suggest that the permissive path has had long enough to become established and that it should be opened to the public as soon as possible. Another year would seem excessive. The parish Council feel that this amenity, which was agreed when the A344 was closed, should not have any further delay. Local people wish to be able to walk and cycle on this route safely. Local people have had to put up with the repercussions of a vast of amount of extra traffic through the Villages since the A344 was closed and would like to see this path opened as per planning agreement. Winterbourne Stoke Parish Council have considered the planning application and consider that the lack of progress is wholly unacceptable and, consequently, Councillors are minded to object to the application. However, Councillors appreciate that it is not sensible for the public to be given access to an unsuitable surface because that would only result in more problems, and additional planning applications in the future to repair the surface; therefore, Councillors support the application with the understanding that any future resubmission will not be supported. We have received complaints about the poor signage provided for the alternative route path, which I understand crosses National Trust land. The local signage of the alternative route should be improved, making it clear from both ends and along the route of the exact route of the path, and its availability to cyclists and pedestrians. Is it possible for such a requirement to be conditioned? I have no objection in relation to the general principle of the proposal to defer provision of a permissive path along the former A344 route, subject to a well signed alternative being maintained in good order until the permanent route is provided. Apart from a need to include a waymarker at the junction of the A344 and Byway 12, I think the submitted sketch represents an acceptable way forward. Wiltshire Council Rights of Way: This application to vary the condition would be acceptable to us. Highways England: Offer no objection. On the basis of the information available to date, we do not wish to offer any comments. We suggest that you seek the views of your specialist conservation and archaeological advisers, as relevant. MOD Safeguarding – RAF Boscombe Down: The MOD has no safeguarding objections with respect to this. Natural England currently has no comment to make on the variation of condition 27. The application was advertised press / site notice and neighbour consultation letters. CPRE: CPRE agrees with Parish (Town) Council (Amesbury) and Parish Councils (Chitterne, Shrewton) who all feel the surface is sufficiently established. Further, there is no documentation provided to support the proposal. This response is made on behalf of the Cycling Opportunities Group for Salisbury (COGS), a voluntary organisation with 140 members seeking to improve cycling facilities in an around Salisbury and South Wiltshire. We work closely with Sustrans as a ranger group for National Cycle Network routes 24 and 45, and are affiliated to the national cycling charity, Cycling UK. I participated in pre-planning application discussions for the Stonehenge Visitors’ Centre that aimed to avoid objections to that application and the Stopping Up Order (SUO) for the A344. We were pleased to see that a planning condition was imposed to provide permissive rights for non-motorised users (NMUs) along the route of the A344 and we withdrew our objection to the SUO on the basis that a suitable surface for cycling would be provided, as stated in the Closing Statement on behalf of EH at the Stonehenge Stopping Up Order Enquiry (points 13 and 14) “Para 9 of Part of Schedule 3 contains a covenant on the part of the landowners for the use of the A344 by pedestrians and cyclists at all times…..” “The works to be carried out will ensure that the surface is appropriate for cycling”. We researched and visited various sites where such surfaces had been built that allow grass to grow through open matrices and protect the green surface whilst allowing use by different types of cycle under varying weather conditions. This is not new technology and has been employed widely on many cycle routes, car parks and areas of high pedestrian footfall. In an email communication to me dated 06 February 2014, EH stated that mat reinforcements were to be laid and seeded that spring. Whilst recognising that weather conditions may affect the establishment of grass surfacing, it is hard to believe that 3 years is not sufficiently long for this to have occurred and allow the permissive route to be used. Therefore, it is very disappointing that EH are applying for a further extension to “Condition 27 of S/2009/1527/FUL to allow a further year for the proposed permissive path to establish itself prior to it being opened to the public” and are still denying cyclists and other nonmotorised users the right to take a properly-surfaced direct route between Amesbury and Shrewton and avoid the A303. There seem to be no reasonable grounds for further delay. 2012 and makes it clear that planning law (Section 70(2) of the Town and Country Planning Act 1990 and section 38(6) of the Planning and Compulsory Purchase Act 2004) requires applications for planning permission to be determined in accordance with the development plan unless material considerations indicate otherwise. Paragraph 12 of the NPPF confirms that the ‘NPPF does not change the statutory status of the development plan as the starting point for decision making’ and proposed development that is in accordance with an up-todate Local Plan should be approved and proposed development that conflicts should be refused unless other material considerations indicate otherwise. The NPPG advises that Section 73 applications should be considered against the development plan and material considerations, under section 38(6) of the 2004 Act, and conditions attached to the existing permission. Local planning authorities should, in making their decisions, focus their attention on national and development plan policies, and other material considerations which may have changed significantly since the original grant of permission. Since the 2009 consent, the Wiltshire Core Strategy has been adopted. The proposals are therefore to be considered in the context of the National Planning Policy Framework (NPPF) which sets out Central Government’s planning policies, and the adopted Wiltshire Core Strategy (WCS) which also includes some saved policies of the Salisbury District Local Plan (SDLP). Core Policies 6 and 59, together with paragraph 137 of the NPPF, allows for development within the World Heritage Site that better reveals the heritage significance and provides education on the heritage, whilst not adversely impacting on the heritage asset and its setting. Therefore the principle of development within the Stonehenge World Heritage Site, relating to the Stonehenge Visitor Centre is acceptable. ‘Further to my previous inspection on 1st November 2016 of the progress of the grass establishment on the closed section of the former A344 down to Stonehenge Bottom, I have been keeping an eye on it over Winter and last visited on 6th April 2017. I would still recommend that it is rested from use this Summer in order for the grasses to continue to thicken and further develop their root systems. From a distance, the former roadway appears to have successfully established and appears green but, on a closer look, the grass is still quite thin and would benefit from another season’s growth before it is opened up to regular use and the wear of being a pathway. The high proportion of wildflower seed that was included in the original seed mix will greatly help the establishment of a natural chalk grassland, but also slows the process of creating a thick grass sward. Following the submission of this additional justification, it is considered reasonable that the path remain closed until 1st October 2017. Objections/concerns to the proposal include why enforcement action has not been taken against English Heritage to open the permissive path. Whilst serving a breach of condition notice requiring the opening of footpath is an option for the council, this course of action has not be pursued because the footpath would be open when it wasn’t properly established and then become eroded by premature use meaning it would have to be closed for a substantive length of time whilst it re-established elongating the length of time the permissive path was closed rather than shortening it. The highways authority’s original comments referred to complaints received about poor signage of the alternative path which crosses National Trust Land although raised no objections to the general principle of the deferral of the provision of the permissive path along the former A344 route subject to a well signed alternative route to be provided and maintained until the permanent route is provided. 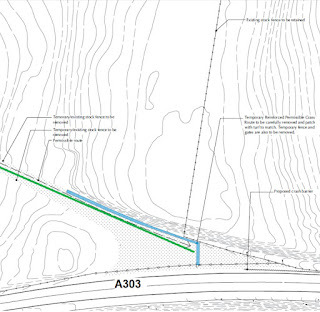 Following these comments, a plan showing the route of the existing temporary path (outlined in blue) and the proposed locations of new temporary waymarker signs (marked in green) to be attached on the adjacent fence posts has been submitted (The waymarker signs are 7.5cm diameter yellow discs with black directional arrows and the words “Temporary Permissive Path for Pedestrians and Cyclists” also in black). The highways authority has advised that subject to an additional waymarker being added at the junction of the A344 and Byway 12, that the signage proposals and alternative temporary route is an acceptable way forward. It will be necessary to condition that the signage proposals for the alternative route (including the additional waymarker at the junction of the A344 and Byway 12) are provided promptly (a reasonable timescale is considered to be 4 weeks form the date of decision of the application). Where an application under section 73 is granted, the effect is the issue of a new planning permission, sitting alongside the original permission, which remains intact and un-amended. A decision notice describing the new permission should be issued, setting out all of the conditions related to it. To assist with clarity decision notices for the grant of planning permission under section 73 should also repeat the relevant conditions from the original planning permission. In this case details have been agreed for the original ‘precommencement’ conditions in writing by the local planning authority on 13/06/2012 and 25/06/2012 and the conditions have been reworded that the development is completed (and where relevant maintained) in accordance with the approved details/schemes. The permissive pedestrian and cycle route on the grassed over area of the former A344 is controlled by planning condition and was due to be opened to the public 1st October 2016. However, this application is to defer opening the permissive path until 1st October 2017 to avoid any damage to the grassed surface because it is not presently established enough (for which justification has been submitted, detailed above). In the meantime there is an alternative path that can be used, and details of this are now considered acceptable (subject to conditioning the provision of waymarkers). Tabular response of clarification of ecological matters received on the 22nd December 2009. (2) The development shall be carried out in accordance with the approved schedule of materials and finishes to be used for the external walls and roofs and all other built structures agreed in writing by the local planning authority on 13/06/2012. REASON: To comply with the provisions of Section 91 of the Town and Country Planning Act 1990. (3) The development shall be carried out in accordance with the approved boundary treatments and timetable for provision, agreed in writing by the local planning authority on 13/06/2012. REASON: To enable the local planning authority to secure the satisfactory treatment of the boundaries in the interests of the visual amenity of the World Heritage Site. (4) The development shall be carried out in accordance with the approved landscaping scheme including the timetable for implementation, agreed in writing by the local planning authority on 13/06/2012. If any plant dies, becomes diseased, seriously damaged or fails to thrive within a period of 5 years from the date of planting, or is removed, uprooted or destroyed, it must be replaced by another plant of the same kind and size and at the same place, unless the local planning authority agrees to a variation beforehand in writing. No tree, shrub, or hedge which are shown as being retained on the approved plans shall be cut down, uprooted, wilfully damaged or destroyed, cut back in any way or removed other than in accordance with the approved plans and particulars, without the written approval of the local planning authority. Recommendations for Tree Work (B.S.3998: 1989). If any tree, shrub or hedge shown to be retained in accordance with the approved plans and particulars is removed, uprooted or destroyed, or dies, or becomes severely damaged or diseased within 5 years of the completion of the development, another tree, shrub, or hedge shall be planted at the approximate same place, and that tree, shrub, or hedge shall be of such a size specification, and species, and should be planted at such time as may be specified in writing by the Local Authority. If within a period of five years from the date of planting any replacement tree is removed, uprooted or destroyed, or dies or becomes seriously damaged or defective another tree of the species and size as that originally planted shall be planted at approximately the same place, unless the Local Planning Authority gives its written consent to any variation. REASON: To comply with the duties indicated in Section 197 of the Town and Country Planning Act 1990 so as to safeguard the amenity of the existing trees and to ensure a satisfactory appearance of the development. (5) The development shall be carried out in accordance with the approved Arboricultural Method Statement, agreed in writing by the local planning authority on 13/06/2012, unless the Local Planning Authority has given its prior written consent to any variation. REASON: To comply with the duties indicated in Section 197 of the Town and Country Planning Act 1990, so as to ensure that the amenity value of the most important trees, shrubs and hedges growing within or adjacent to the site is adequately protected during the period of site clearance and construction. (6) The development shall be carried out in accordance with the approved details of the Visitor Transit System agreed in writing by the local planning authority on 13/06/2012 and shall be maintained and operated as approved. REASON: To ensure that the proposed layout can properly accommodate the operational requirements of the VTS trains and to ensure visitors who are mobility impaired can continue to access the Stonehenge monument. Informative: The VTS will be running on a public highway. It must therefore comply with all necessary legislation related to such vehicles. (7) The development shall be carried out in accordance with the approved details showing how vehicles accessing the A344 can turn around and return westbound in forward gear, (including all points where access is restricted by proposed gating), agreed in writing by the local planning authority on 13/06/2012. The development shall be operated in accordance with the approved arrangements and details. REASON: In the interests of highway safety and to avoid the inconvenience otherwise caused to larger vehicles that might need to gain access for highway maintenance or other purposes. (8) The development shall be carried out in accordance with the approved scheme demonstrating how any gating or bollarding measures on the A344 are to be operated, their legal status, and what provisions are to be made for vehicles reasonably requiring access to the public highway and, beyond, to the stopped up section of A344 between Byway 12 and Stonehenge Bottom, agreed in writing by the local planning authority on 13/06/2012. Gating arrangements shall only be provided and operated in accordance with the approved scheme. REASON: To demonstrate that a managed scheme will allow for the requirements of all proper vehicular users of the highway at all times of the day and night throughout the year. (9) The development shall be carried out in accordance with the approved scheme demonstrating how any gating or bollarding measures on the A344 are to be operated, their legal status, and what provisions are to be made for vehicles reasonably requiring access to the public highway and, beyond, to the stopped up section of A344 between Byway 12 and Stonehenge Bottom, agreed in writing by the local planning authority on 13/06/2012. Gating arrangements shall only be provided and operated in accordance with the approved scheme. REASON: To demonstrate that a managed scheme will allow for the requirements of all proper vehicular users of the highway at all times of the day and night throughout the year. (10) The development shall be carried out in accordance with the approved visitor management strategy, agreed in writing by the local planning authority on 13/06/2012. The development shall not be operated other than in accordance with the approved visitor management strategy in perpetuity. REASON: In order to protect the Salisbury Plain SAC/SPA and the wider landscape and nature conservation interests. (11) The development shall be carried out in accordance with the approved scheme and programme for cycle parking and storage provision at the western end of the retained A344 and for cycle parking at the eastern end, agreed in writing by the local planning authority on 13/06/2012. The facilities shall be provided in accordance with the approved scheme and programme and maintained thereafter. REASON: In order to facilitate the objectives of the travel planning requirements for the site insofar as they relate to encouraging pedestrian and cycle transport, and to discourage random parking of cycles within the vicinities of the Stones and the proposed Visitor Centre. (12) The development shall be completed in accordance with the approved construction management plan, agreed in writing by the local planning authority on 25/06/2012. REASON: To mitigate the impact of construction traffic during the construction period and in the interests of highway safety on the local and strategic road network. (13) The development shall be completed in accordance with the approved landscape management plan (including a statement for the long-term effective maintenance of the agreed landscape scheme and full details of all management and establishment operations over a ten-year period including details of the relevant management, and supervisory responsibilities), agreed in writing by the local planning authority on 13/06/2012 as amended by the revised landscape management plan dated 25/07/2016 and agreed in writing by the local planning authority dated 21/12/2016 for the permissive path to be opened by 1st October 2017. The approved landscape management plan includes the provision for a review to be undertaken during the course of the plan with a final review being undertaken before the end of the ten-year period. A revised landscape management plan shall be submitted for the agreement of the Local Planning Authority before the ten years has expired. The revised details shall make similar provisions for the long-term maintenance and management of the landscape scheme. The revised scheme shall also make provision for future revision and updating. The provisions of the landscape management plan and subsequent revisions shall be adhered to and any variation shall have been agreed beforehand in writing by the Local Planning Authority. No trees, shrubs, hedges or other plants shall be removed for the duration of the landscape management scheme or its revisions, without the prior written approval of the Local Planning Authority. Management of the landscape scheme in accordance with the landscape management plan or their agreed revisions shall not cease unless agreed in writing by the local Planning Authority. REASON: To comply with the duties indicated in Section 197 of the Town and Country Planning Act 1990, so as to ensure that the amenity to be provided by the new landscaping is achieved and safeguarded, and to ensure satisfactory appearance to the development. (14) The development shall be completed in accordance with the approved water supply and water efficiency scheme agreed in writing by the local planning authority on 13/06/2012. The approved scheme shall be maintained in perpetuity. REASON: The site is located on a major aquifer within the catchment of the River Avon SAC/SSSI and the South Wiltshire core strategy proposed submission document (July 2009; policy 19) includes the requirement for non-residential development to include water efficiency measures. (15) The development shall be completed in accordance with the approved scheme for the disposal of foul drainage, agreed in writing by the local planning authority on 13/06/2012. The approved scheme shall be maintained in perpetuity. REASON: The site is located on a major aquifer within the catchment of the River Avon SAC/SSSI. Appropriate drainage arrangements will ensure groundwater is protected. (16) The development shall be completed in accordance with the approved construction environmental management plan and timetable, agreed in writing by the local planning authority on 25/06/2012. REASON: The site is located on a major aquifer with the catchment of the River Avon SAC/SSSI. Appropriate pollution prevention arrangements during construction will ensure groundwater and surface water are protected. (17) The development shall be completed in accordance with the approved lighting scheme (including street lighting, lighting for the car and coach parks, lighting for footpaths, lighting at the drop off points, including intensity of the lighting and design for the light column and arrangements for testing of the works on their first operation), agreed in writing by the local planning authority on 13/06/2012. All the works and operation of the development shall subsequently accord with the approved details. REASON: To ensure that the lighting scheme respects the overall design qualities required from the development and to minimise impact of the lighting scheme upon both the World Heritage Site and wider landscape and nature conservation interests and the Salisbury Plain SAC/SPA. 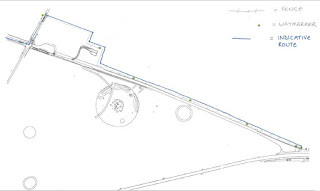 (18) The development shall be completed in accordance with the approved written programme of archaeological investigation, agreed in writing by the local planning authority on 13/06/2012. REASON: To ensure that artefacts of archaeological importance are properly recorded and evaluated. agreed in writing by the local planning authority on 13/06/2012 REASON: In the interests of achieving a sustainable development. 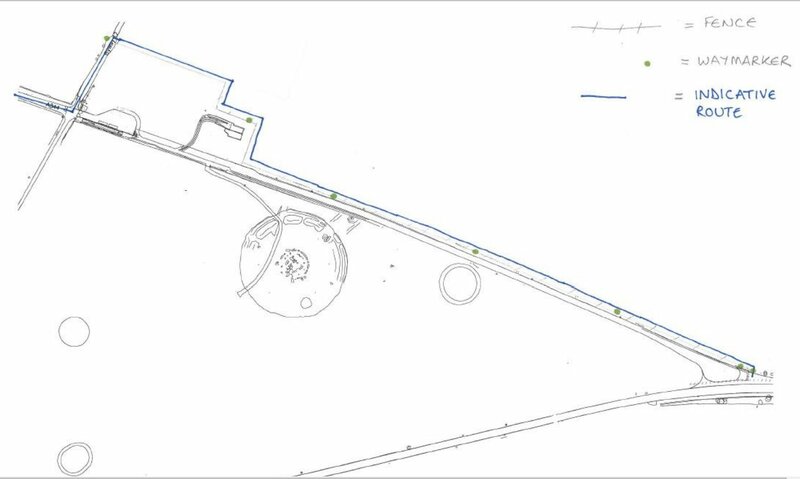 (20) The development shall be completed in accordance with the approved scheme of internal pedestrian footpaths within the visitor centre site, agreed in writing by the local planning authority on 13/06/2012. REASON: To facilitate pedestrian movement on identified desire lines. (21) The retail unit within the visitor centre shall not sell goods outside of the agreed range of goods, agreed in writing by the local planning authority on 13/06/2012, other than as a minor and ancillary part of the stores operation without the prior written approval of the local planning authority. REASON: To enable the local planning authority to exercise adequate control over the kind of good which are sold from the premises, in the interests of maintaining the vitality and viability of Amesbury Town Centre. (22) The development shall be completed in accordance with the approved details of the pedestrian and cycle route along the whole of the A344, including the approved scheme for reviewing such access agreed in writing by the local planning authority on 25/06/2012 as amended by this application for the permissive path on the grassed over section of the A344 to be opened to the public by 1st October 2017. Within 1 month of the date of this decision, waymarker signs (7.5cm diameter yellow discs with black directional arrows and the words “Temporary Permissive Path for Pedestrians and Cyclists” also in black) shall be attached to the adjacent fence posts in the positions shown on the route plan of the temporary path (including an additional waymarker at the junction of the A344 and Byway 12), received by the local planning authority on the 06/06/2017. These shall be removed within 1 month of the opening of the permissive path. REASON: To accommodate and facilitate the inevitable future local pedestrian and cyclist demand travelling the route between the Stones and west Amesbury. This permission shall be read in conjunction with an Agreement made under Section 106 of the Town and Country Planning Act, 1990 and dated 23rd June 2010.